A few weeks ago ChefSteps launched our first “vote for new content” poll. Our goal was to engage you, our community, in helping us decide what recipes to develop and which techniques to share. By an overwhelming margin, you all voted for a short course on how to prepare perfect Parisian macarons. We took the result seriously, and Grant and Ryan have been hard at work shooting the videos for this course. It’s going to be great. 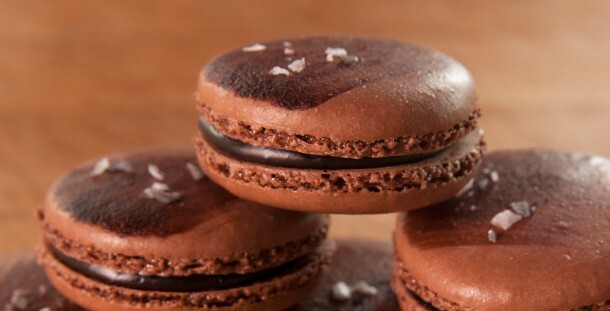 We’ll show you how; step-by-step, French macarons are really made by pros like Pierre Hermé. And for those of you who voted for other content, don’t worry. Some of those ideas, like vegetable pastrami, are certain to be developed by the kitchen team in the near future. Aside from voting for new content, we’ve been asking some of you what the most valuable thing the ChefSteps team can do to help you become a better cook. Many of you have responded by asking for more short courses. With this in mind, we’ve just launched our second poll so you can vote for which new course we should work on next. Check them out, and then pick the one that you’re most interested in. And please, share your vote with any friends and family members that you think would be interested in one of our courses; you can share via Twitter, Google+, Facebook, email or some other preferred social platform that we don’t even know about yet. I am beside myself with excitement. Bring on the evil pastries designed by the cheese eating surrender monkeys that have plagued me for months! !